Hurray! 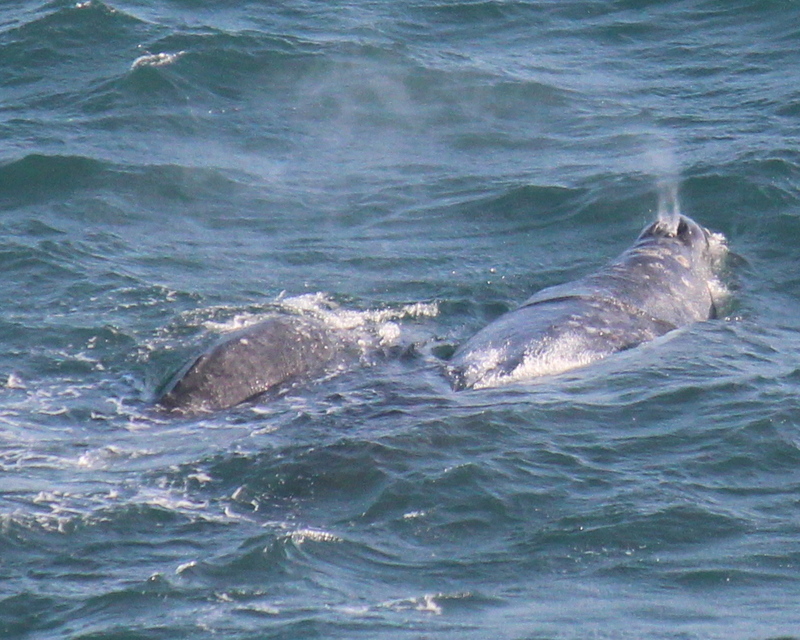 let the gray whale cow/calf parade begin! but wait, which way are we going? It looks like the mother is heading south in this photo and the baby is going north. The pair played in this area for twenty minutes with lots of direction changes and side changes too before moving on. 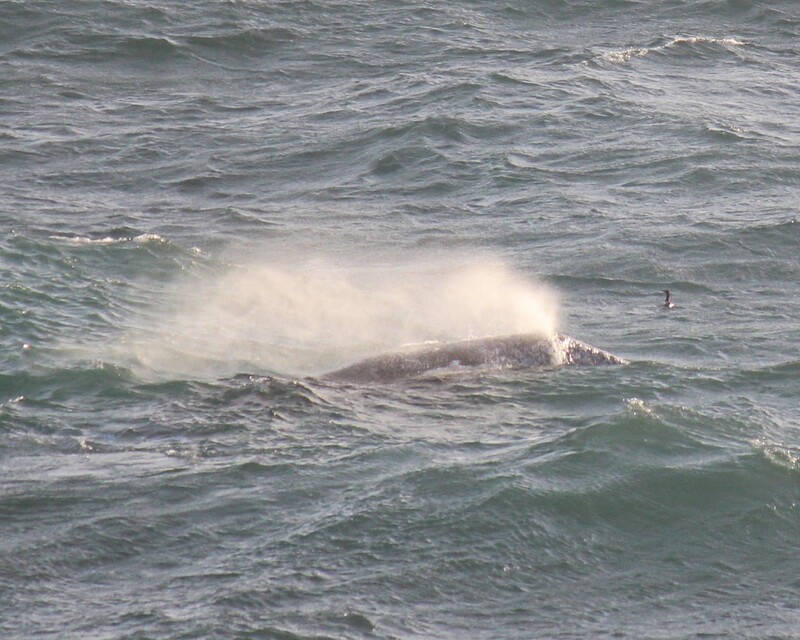 Here the baby is closer to the shore but in the second photo the mother is closer to the shore. 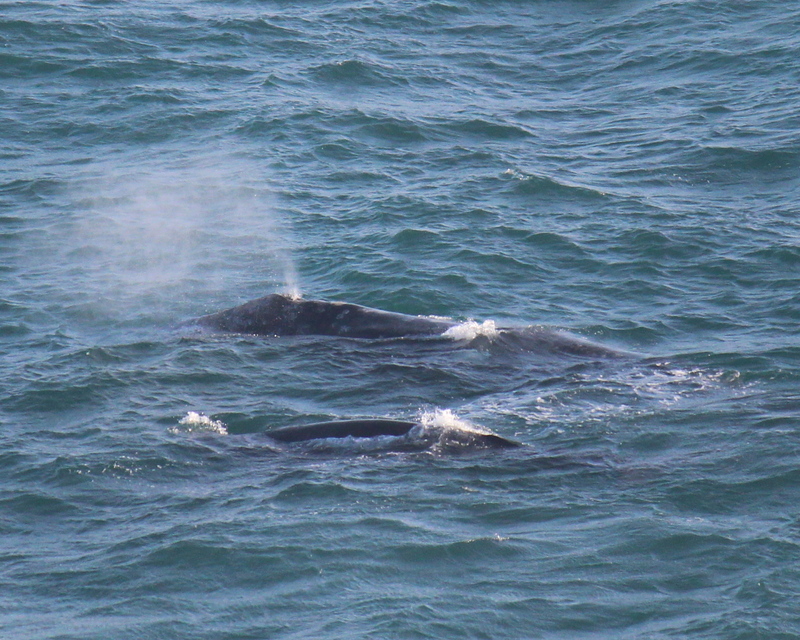 Mom on right and calf on left. 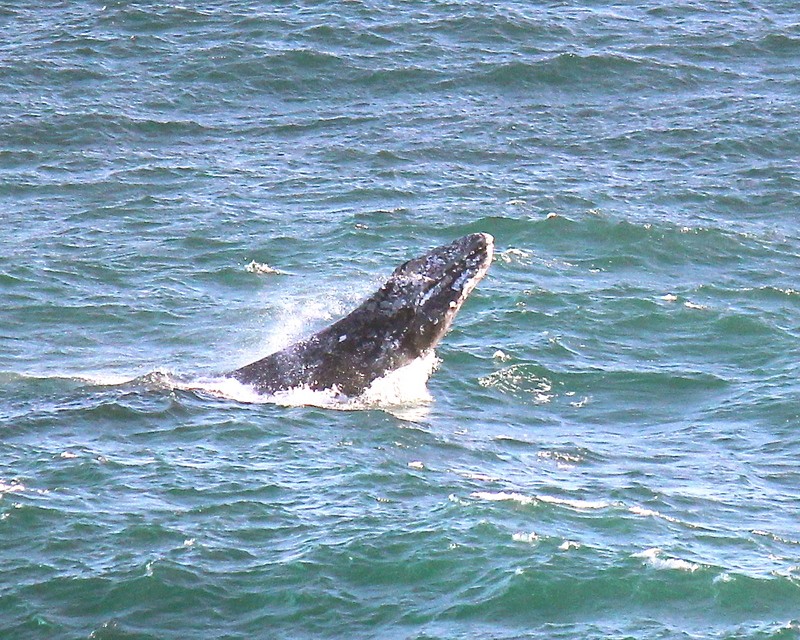 Spotted one blow from the street parking and walked out to the observation deck in time to see this whale pass. 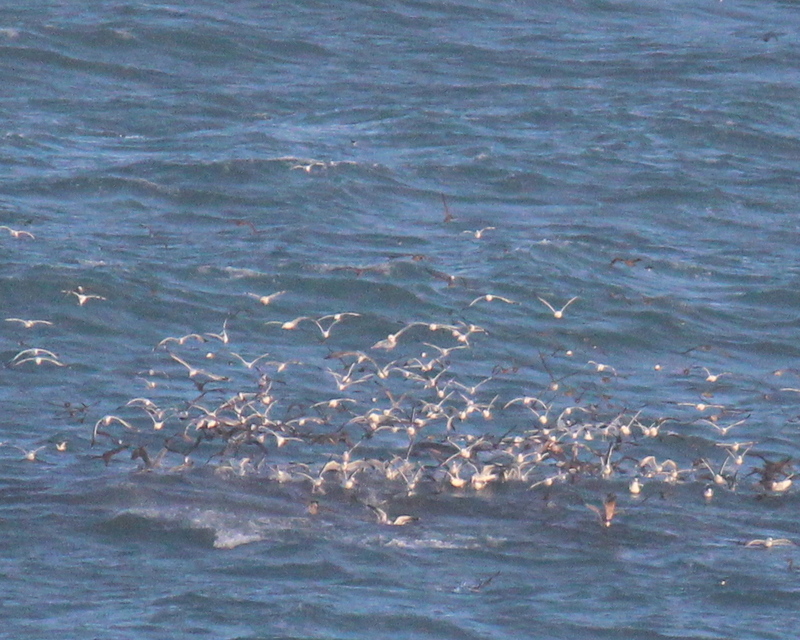 Helicopters (four in a row) sweep past the coast zig zagging alerting everyone to a spyhopping whale in the surf. 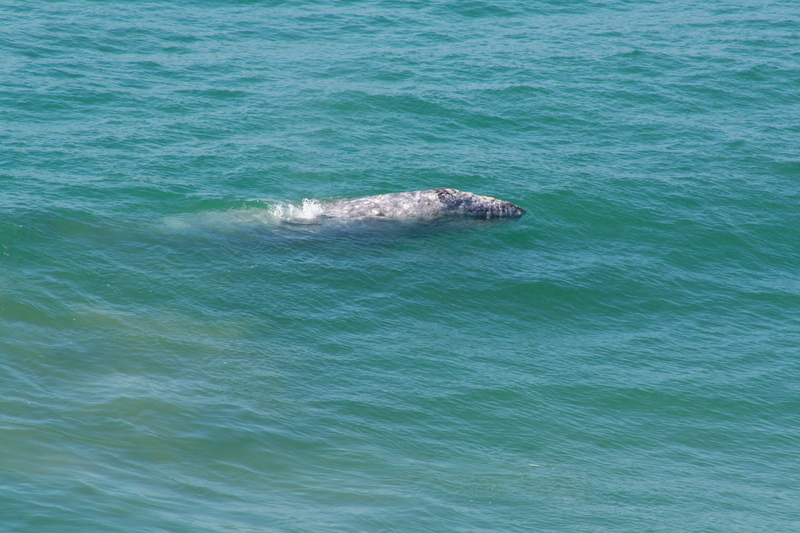 Harbor seal today in the surf which is my first time spotting one in this area, yay! 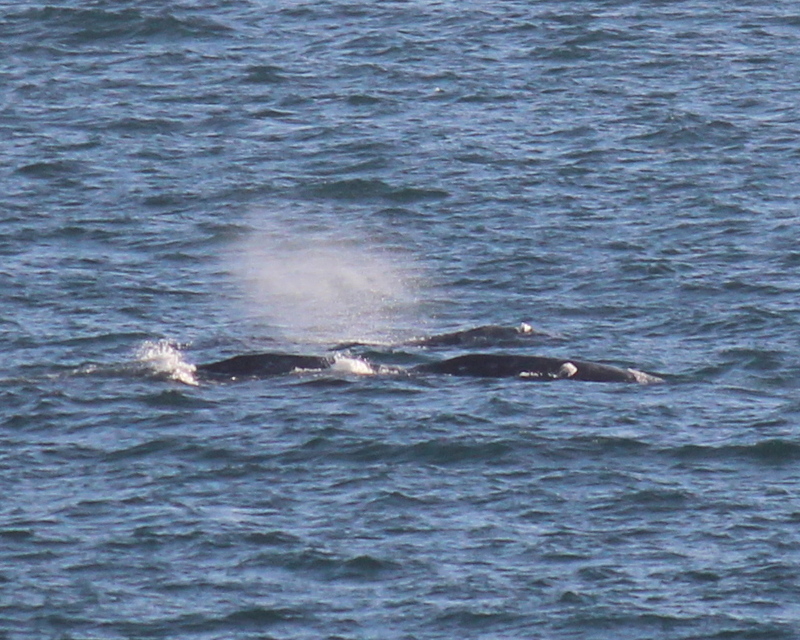 Several slow moving dolphins milled in the area for nearly an hour while a group of three whales stopped to play. Met a lovely woman who is a life coach visiting from out of state to take classes in Santa Monica. 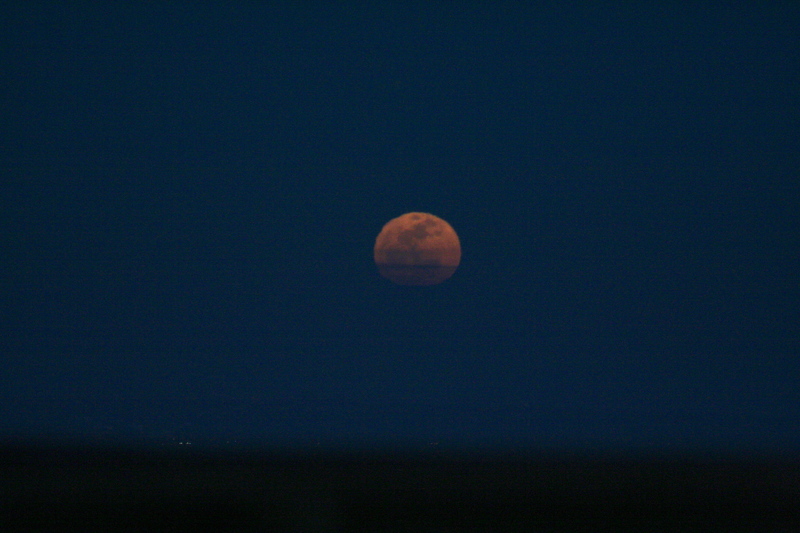 Later looking at the sunset in the west, what a surprise to see the FULL moon rise in the east! A spectacular strawberry PINK full moon! what a sweet Valentine’s Day treat for all the couples who were out enjoying the weather and views tonight.